Security for the user or security for the company? • When software developers build large systems with accountability of users they are empowering the companies that own the systems while potentially endangering the system’s users. The alternative is building systems with deniability, which turn out to be more akin to systems from the pre-digital world. Hello software developer, I would like to talk about how we think about the systems we build. More precisely, I think we have a tendency to think about concrete details of our systems, sometimes missing the bigger picture. When we build systems, we want them to be secure, right? How do we talk and think about security, then? Are we missing something? Sometimes a client doesn’t have a human user. It might be a different system. Anyway, we don’t care about the user. 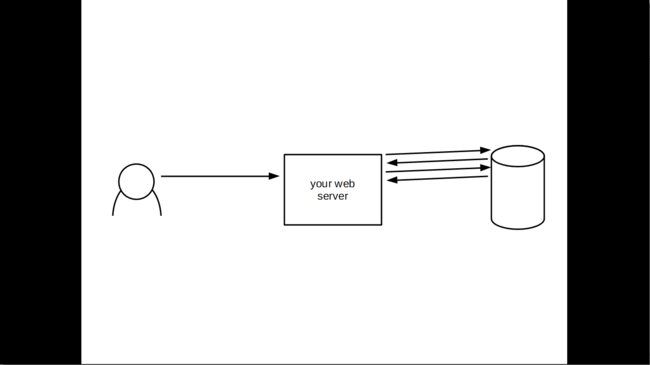 We care about how fast your web application is. And right now, a client is making a request to your web server. 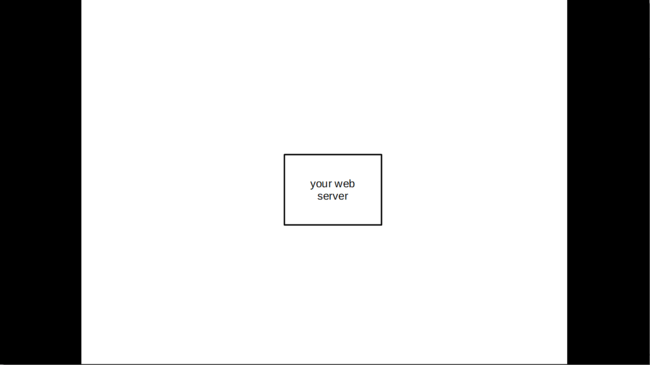 Now the web server has recognized the client. Let’s start getting the information we need to put together for a response to the request. It is easier to learn when you are young. So I have been told all my life. According to research on neuroplasticity the brain continues to grow and learn from what it is exposed to—it never stops. As we get older, life is filled with more routine. Get up, 9-to-5, relax, cook, sleep, repeat. That is a pattern I see in many adults around me. I am 24, and in a sense I have refused to grow up (“it’s a trap!” I was told). I have refused routine. I could never make it work. Adults are much busier with the little things of life. That I have not escaped. Just recently I picked up a musical instrument for the first time, a Ukulele. I’m not very good but I taught myself some chords and some strumming quite quickly. It didn’t feel like I was slow at learning. Hey, remember Bitcoin? The cryptocurrency that wasn’t really a serious thing, most likely a fad, something that was going to pass quickly without leaving much of a mark? Well, today one Bitcoin is worth more than $1000 dollars. 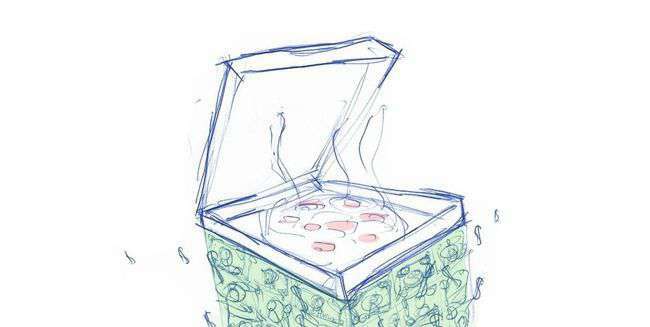 In 2010, an urban legend goes, someone bought two pizzas for 10000 Bitcoin. Today, that’s worth more than 10 million dollars. Expensive pizzas! The value of Bitcoin has exploded, and cryptocurrencies are very likely going to be with us for a long while. As Bitcoin saw wider adoption and support in applications, its value grew. Maybe the wild increase in value we saw with Bitcoin wasn’t the last of its kind. Maybe there’s money yet to be made in cryptocurrencies. Amazon just released a video explaining the concept for a new kind of grocery store, with no queues and no cashiers and no waiting. Here are three thoughts on the implications of the technology and concept. The idea behind the store seems to be that customers check in with an Amazon account to enter the store, and are then watched by the store itself while they shop. The store determines, using “Computer Vision” and “Deep Learning Algorithms” similar to those in autonomous cars, what each customer picks up. Customers can simply walk out of the store when they are finished, and their Amazon account will be charged. A receipt will be visible on their Amazon app. Your company’s development team is fairly stable. It’s the same people working together every day. That stability makes for great things: it improves the quality of team work, makes for more constructive feedback, and builds a shared vision for what the code base should look like. Hopefully the stability doesn’t mean that you aren’t trying new things. Hopefully you are still evaluating new technologies, reevaluating past choices, and figuring out new ways to approach design that might be a benefit to the readability and extendability of your code. Then you hire someone new. That brings with it a lot of things. You will spend a lot of time bringing the new developer up to speed, transferring knowledge from the team to the new member, teaching them to develop the way you develop and how the code base works. So they can pull their weight. 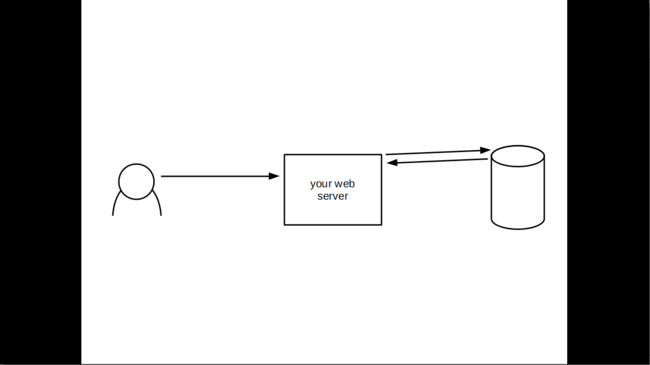 What happens in a regular old web application when a user makes a request? 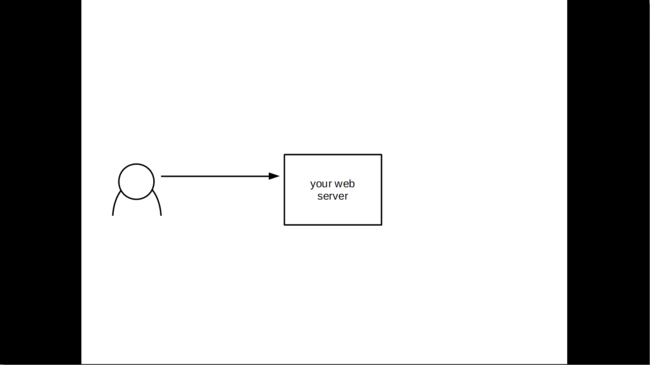 This web application could be built in Drupal or Ruby on Rails or Django. These frameworks all, on a very general level, share some characteristics — and not just because they are MVC frameworks. Dynamic web applications built with these frameworks share the characteristic that they build responses on request. This is so trivial, and such a common pattern, that it is rarely questioned. Receiving requests and sending responses are required for a web server to be considered a web server, so these hardly need further exploration. When a business takes investor money, the main goal of the company becomes making that investment worth it. Publicly traded companies compete on having people believe that the investment will be worth it, any companies with stocks will be valued through the value of its stocks. Being measured on stock performance changes the entire dynamic of a company. The goal is no longer to build a product, but to build stock value. “[The] product is the stock,” as fictional Jack Barker says in Silicon Valley. This may create problems. I will try to illustrate what companies with investors usually miss out on, and why. To paraphrase a common saying of Elon Musk’s: you get what you incentivize for.